Thanks to the Trusted Web Activity feature in Chrome 72 on Android, the Google Play Store is now open for Progressive Web Apps. Chrome 72 for Android is now shipping from the Play Store to all users and this version included Trusted Web Activity (TWA), that in a nutshell is a way to open Chrome in standalone mode (without any toolbar or Chrome UI) within the scope of our own native Android package. The easiest way to get your PWA published onto the Google Play Store is to clone the example repository and adjust the manifestPlaceholders settings in app/build.gradle. Additionally you’ll also need to set up Digital Assets Links in /.well-known/assetlinks.json which is hosted on the website also hosting the PWA. 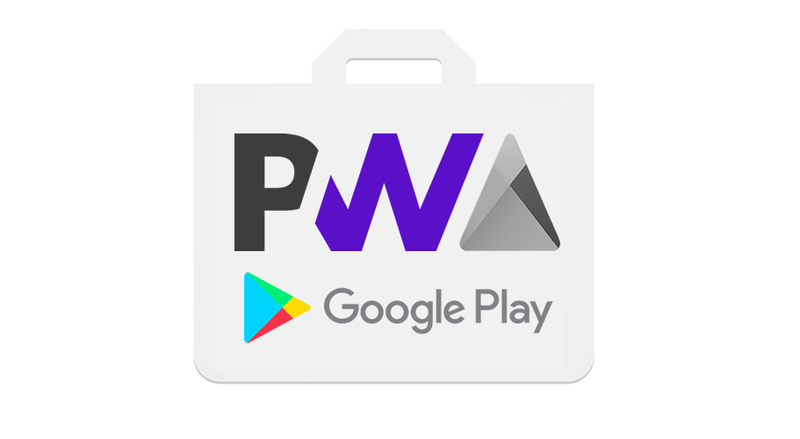 UPDATE 2019-02-12: Thanks to PWA2APK you can now automatically generate a .apk for you to upload to the Play Store. I find PWA2APK much easier and friendly for non-devs.